Now I'm not sure what the whole bottle says since I can't translate Japanese but this is something I purchased on Sunday at Mitsuwa. 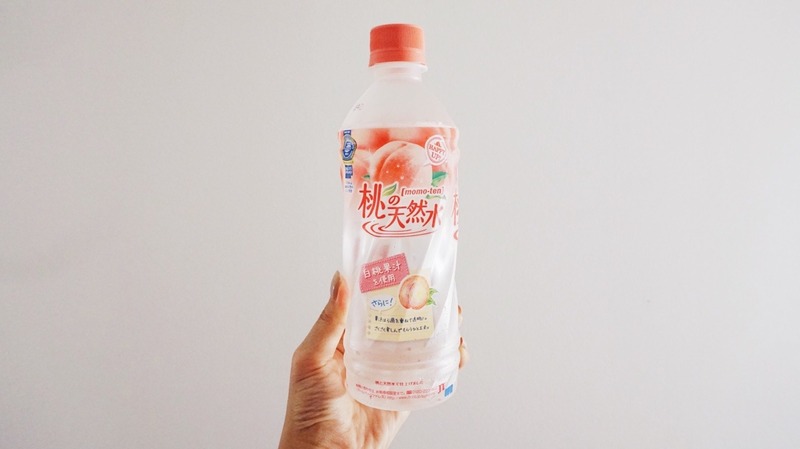 It's a natural peach soft drink and to be honest, I initially grabbed it because of the pretty packaging. And cause it's peach flavored. I feel like Japan is known for their peach and sakura flavors for their foods and beverages so I felt like I had to try. Oh my god though, it tastes amazing. This drink is super refreshing and I couldn't get enough of the packaging. It tastes a bit like Lipton's Iced Tea but way more refreshing. The crazy thing about this is that it only has 4 grams of sugar! Only 4 grams! American soft drinks are loaded with way more. Next time I go back, I am definitely stocking up on this drink.